What is a ''unicorn'' wine or shall I say a ''mermaid'' wine in an ocean context? Unicorns were mythical creatures of exquisite beauty, horse or goat-like possessing a large, pointed, horn projecting from their heads. That made them stand out from the crowd I reckon. As a wine term now it is often used, mostly by somms, to describe a very rare almost impossible to get bottle, a bottle that hardly exists. Are there unicorn wines in Greece, wines that combine both true rarity and extraordinary beauty? I was wondering about that for quite some time thinking that maybe this or that wine had the unicorn touch but I was not 100% sure. Until I re-tasted a sweet wine from Tatsis Winery in Goumenissa, Northern Greece, a wine that ticked immediately all the boxes. 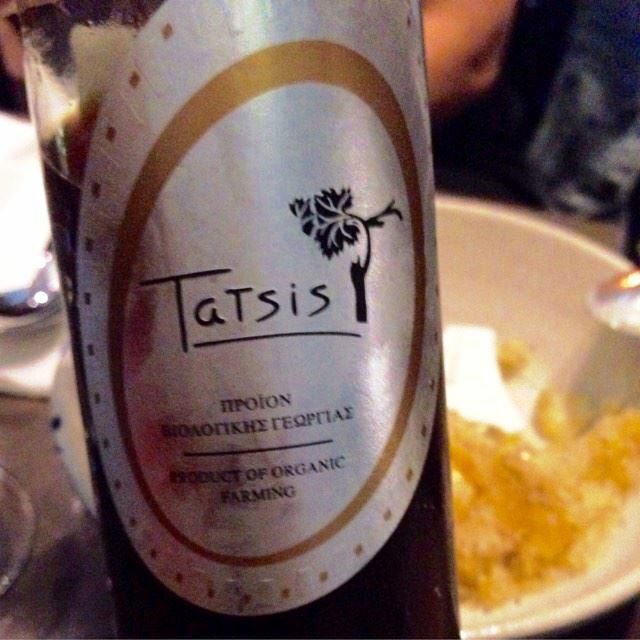 The Tatsis brothers, Perikles and Stergios are first of all farmers deeply respecting their land and trying to express their terroir as authentic as possible. They cultivate organically, the use selected biodynamic practises -not certified though- and they do ''very little action'' in the winery. Last time I spoke with Perikles he told me that all of his work is centered in the vineyards. I whispered Alleluia! In 2011 climatic conditions favoured the development of noble rot something that is an once in a lifetime case for a Greek stickie, since literally all of them are produced either by sun-drying and/or fortification. Total production was just 4320 (500 ml) bottles and this came out of 4.5 hectares. It translates to the ultra tiny 480 lt of wine per hectare! Two varieties are represented in the blend, Xinomavro and Negoska.